Michael Lee-Chin, an investor with significant regional holdings, served the government of the Dominican Republic with a notice of arbitration on April 6 surrounding the state takeover of a recycling facility and waste-to-energy plant in which he invested in 2013. In the notice of arbitration prepared by Miami law firm Hogan Lovells US LLP, Lee-Chin is seeking compensation under international trade law. "We are claiming damages of over US$300 million," he told the Financial Gleaner on Thursday, while insisting that the ’expropriated’ landfill in Santo Domingo was in breach of a trade agreement protecting investors, signed by both Jamaica and Dom Rep.
"In Jamaica, we are gracious in accepting foreign investors, but the same reception is not always given to us when we invest abroad," said the Jamaican-Canadian investor. He expects the case to be heard outside of Dom Rep, but has not said what the likely venue would be. The Financial Gleaner reached out to Dominican Republic Ambassador to Jamaica Jose Tomas Ares for comment, but none was forthcoming up to press time. Lee-Chin is the majority shareholder and ultimate beneficiary of Lajun, a Dominican entity focused on the collection, removal, and handling of urban and industrial waste products. His ownership in Lajun is held through Nagelo Enterprises SA, a Panamanian entity that owns 50 per cent of Lajun’s shares; and through Wilkison Company SRL, a Dominican entity that holds the other 50 per cent of Lajun shares. By June 2013, Lee-Chin had acquired 90 per cent interest in Lajun, which included a concession agreement for the waste facilities, as well as 875,373 square metres of land that was used as a sanitary landfill, recycling facility, and ultimately a waste-to-energy plant. Nagelo Enterprises and Wilkison both hold title to the land. The arbitration notice, delivered via email and bailiff to Dom Rep government officials, seeks relief and settlement under Section I, Article 3 of the Arbitration Rules of the United Nations Commission on International Trade Law, UNCITRAL, and Caricom free trade agreements. In his claim, Lee-Chin said both he and Lajun contributed millions of dollars to finance and perform the concession agreement and develop the waste operations in Santo Domingo, "despite the significant difficulties encountered during the duration of the concession agreement". In July 2017, which the claim outlines as being less than two months after the execution of a second settlement agreement with Ayuntamiento de Santo Domingo Norte, or ASDN, the municipality notified Lee-Chin that it was terminating the concession agreement, having accused Lajun of breaching local environmental regulations. For those actions and other charges relating to military interference, Lee-Chin is seeking compensation and a declaration that the Dominican Republic breached international law as well as the Reciprocal Promotion and Protection of Investments Treaty under Annex III of the Caribbean Community Free Trade Agreement between the Dominican Republic and Jamaica that took effect in 2002. He is also demanding compensation of at least US$5 million in "moral damages" alongside the US$300 million claim. "Regrettably, from the inception of the investment, the State, through the municipality of Santo Domingo Norte (ASDN) and other governmental agencies, has taken multiple unlawful and discriminatory actions that have interfered with, and ultimately destroyed, claimant’s investment," Lee-Chin’s lawyers allege in the claim. 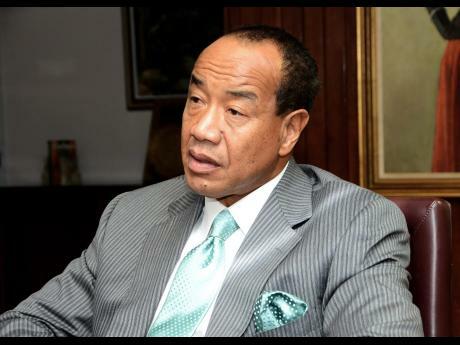 Lee-Chin is the founder and chairman of Portland Holdings Inc, chairman of Mandeville Holdings Inc, and executive chairman, CEO and portfolio manager of Portland Investment Counsel Inc. He has invested in multiple entities throughout the Caribbean Basin - a region that includes the Caribbean, Colombia, and Central America - including NCB Financial Group and other companies in Jamaica.